However, not everyone who wants this market is open and accessible. Becoming a member of the real estate market is not such an easy task. First, you must have a lot of money. Secondly, you must have all the necessary legal and notarized documents confirming your status and position. Moreover, even if there is money, not everyone immediately has the experience and competence regarding the real estate market, so in third place is the problem of the lack of many newcomers to the market, their necessary skills. This can naturally lead to poor-quality transactions, as a result of which you will not only earn any profit, but also lose a significant part of your capital. The real estate market, although it is one of the most ancient and conservative, nevertheless, it still has a huge number of problems, ranging from legislation to various registration documents and ownership rights to a particular object. Thus, the market is a kind of dinosaur, which is not fully digitized, which means that the documentation and all the necessary legislative registers can create an absolute mess. A new decentralized project called Global Property Register intends to solve a number of problems. Global Property Register — is a new generation of the real estate market, using modern technologies and tools, with which it will be possible not only to fix each subsequent property, but also to purchase it on a simplified system through the internal token platform. That is, to put it in simple words, Global Property Register is a new kind of already obsolete old system of the real estate market. 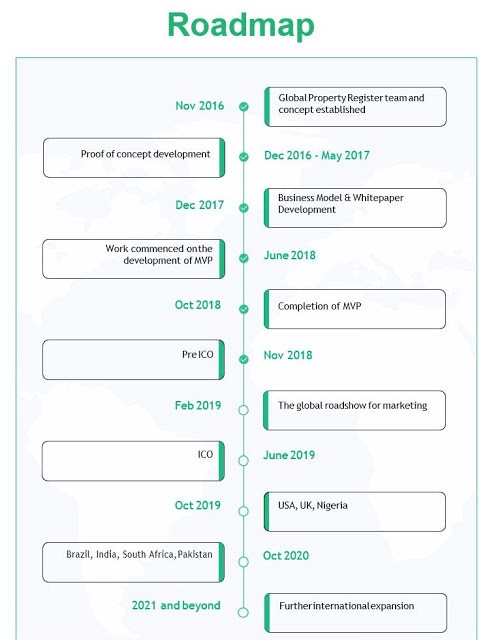 Global Property Registeris able not only to assess real estate, but also to control the entire list of necessary documents, legal certificates and other references at the legislative level, in order to ensure maximum transparency at all stages of the transaction, as well as to eliminate various bureaucratic costs. Harmonious work within the system will be carried out by an internal token — XRX, with which users will be able not only to purchase some real estate, but also to pay for additional services for the registration of their property and much more. The token itself is developed on the basis of the Ethereum blockchain and meets the ERC20 standard. However, do not forget about the risks that are present in absolutely any direction and the project, so before you make any decision carefully consider it. Since my reviews are only for informational purposes and do not encourage you to invest in a particular project. All I can recommend to you is to study in detail each separately selected project independently. And for this, I always prepare all the necessary links that you will find at the end of this review. And that’s it for today and see you soon!